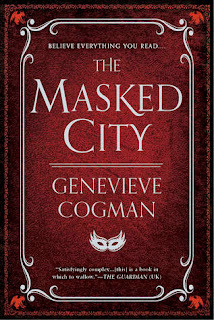 First lines: "The London air was full of smog and filth. Kai's senses were better than those of a human, though he tried not to be too smug about it. But even he couldn't see down a dark alley any better than the average Londoner. And even native Londoners walked carefully in the narrow streets behind King's Cross Station." 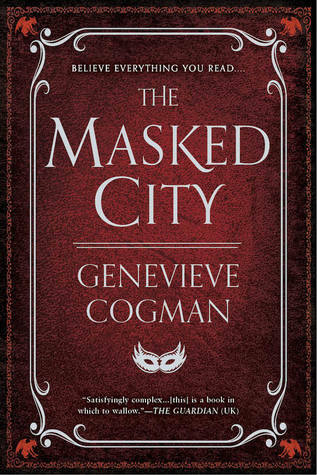 The Masked City is the 2nd book in Genevieve Cogman's Invisible Library series. Irene uses all the resources possible from the Library to Silver to the King of Dragons as well as masquerading as a fae teacher's student, using her wit and making up things on the fly, to travel through a world of chaos, in a race to save Kai. The story is non stop action with unexpected twists and turns that will make you breathless by the the very end.